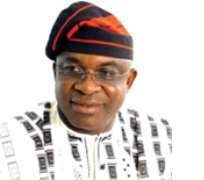 Senate President David Mark is canvassing for a renewed intervention into the technological development of Nigeria's neglected industrial sector with a view to selling the Ajaokuta steel company to Lakshmi Mittal, boss of the world's biggest steel maker Arcelor Mittal, Huhuonline.com has learnt from sources working on the deal in Abuja. The Senate President is pushing the case for Arcelor Mittal which, sources said, have begun negotiations with Abuja. Mark used the occasion of a stakeholders' forum to publicly declare the commitment of the National Assembly to make sure the deal comes through with the passage of a bill that will facilitate the recovery of all the moribund companies including Ajaokuta. Contacted at Arcelor's headquarters in Luxemburg, the company declined to comment. Details of the transaction remain murky, and sources could only tell Huhuonline.com that Senator Mark's kick-back on the imminent sale of Ajaokuta will run into billions of Naira. Ajaokuta is currently being managed by the government since Global Steel Holding, the company owned by Lakshmi Mittal's brothers; Pramod and Vinod Mittal, left the country after their concession was withdrawn by the Yar'adua government for lack of transparency in its attribution. Global Steel Holdings Ltd, the holding company of the M L Mittal-controlled Ispat group, acquired the Ajaokuta and Delta Steel companies in a shady third party deal through ownership, long-term concessions and commercial contracts with processing capacities estimated at four million tones combined. It was hoped at the time that the deal will expand domestic production and increase supply, resulting in lower prices. Things fell apart when Global Steel Holdings Ltd through its GM of Projects and Engineering Services Dr. Stanley Imagie announced that Ajaokuta Steel Company has exported 8,850 metric tons of ribbed bars to four West African countries; 3,800 metric tons of ribbed steel to Mauritania; 3,400 metric tons to Cote d'Ivoire; 1,050 metric tons to Benin Republic and 600 metric tons to Mali. Industry sector watchers told Huhuonline.com that Nigeria could become the steel center in West Africa, with the Ajaokuta Steel company, which gets ore from two mines with estimated reserves of 300 million tons (not the paltry four million tons on which the concession estimates to the Mittal brothers were based). The public outcry from the scandalous under-valuation of Ajaokuta forced the FG to cancel the deal, but now, the Senate President is arguing that failure to sell Ajaokuta to his Indian friends hinders economic growth and risks leaving Nigeria behind other developing countries in terms of technological advancement. The Senator has missed no opportunity to press the case for his new found friends and the sale of Ajaokuta to Arcelor Mittal has become a personal motto for David Mark. Playing the devil's advocate while hosting the Stakeholders Forum on Ajaokuta and Itakpe Iron and Steel projects recently, Mark expressed dismay over the non-productivity of some notable industrial projects across the country. He reportedly stressed that the Ajaokuta Steel project was supposed to lay the foundation for the nation's technological development but has been neglected over the years thereby hindering the country's economic growth. Also speaking at the forum was HRH, Alhaji Yakubu Yusuf, who commended the Senator's concern towards the Ajaokuta Steel project and the National Iron Ore Mining project, Itakpe. The Stakeholders' Forum led by Alhaji Yakubu Yusuf, the Ohi of Okene/Okegwen in Kogi State, included first class traditional rulers and elected National Assembly members from Kogi State. With the massive expansion of global demand for steel, tying up raw materials had become crucial for profitability and growth for all steel companies. The other key challenge is to secure raw material supplies, primarily cooking coal. The coal available in Ajaokuta has low ash content and high energy efficiency. So producers have been trying to secure supplies by tying up with global majors and acquiring mines abroad. It remains to be seen whether the Senate President will submerge his personal aggrandizement for the supreme interest of all Nigerians.